IT was arguably Ireland’s most successful-ever foray to the Worlds last weekend when an incredible TEN outright global titles were garnered by bands from Dublin to Derry. But in the end the two championships on which so much local hopes, dreams and aspirations had been pinned – for Field Marshal Montgomery in the top flight and Bleary in grade two – didn’t quite materialise. Nonetheless, that didn’t detract from what was unquestionably the best Worlds in its 69-year history, an event which attracted 8,000 players and 40,000 spectators to Glasgow Green for two days of sumptuous music. The Worlds mean many things to many people, whether that's to be crowned a world champion, make the top six, qualify for the final, or just to make it to the line and compete. The big story, of course, was the failure of reigning champions Field Marshal Montgomery, under Richard Parkes MBE, to make it five-in-a-row in the big one, despite entering as firm favourites. How ironic, then, that it was one of Parkes’ old boys – and an Irishman to boot – who finally usurped the great man and great band. 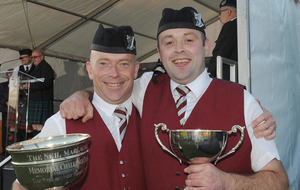 Derry man Ryan Canning, who’d already collected more than 20 majors with FMM including five world titles, accepted the challenge in August 2012 to become pipe major of Shotts & Dykehead Caledonia, inheriting a band in turmoil. “I’m shocked and delighted,” he said. 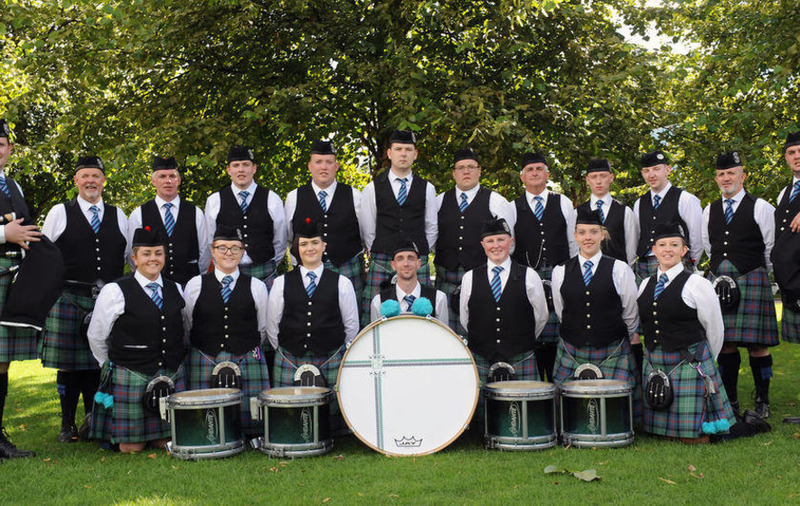 Dubliners St Laurence O’Toole were just pipped into second place overall, but Stephen Creighton’s stellar drum corps took the percussion prize and became world ‘back end’ champions for the fifth time. When Bleary were announced as drumming world champions in grade two, it seemed the overall title was destined for Co Armagh too. But it proved a bitter-sweet result because Nigel Davison’s band could only finish second overall – outstanding in itself, but devastating because the same thing happened a year ago, and they’ll possibly go into grade one now (and potentially several barren seasons as they ‘serve their time’) without a world title to their names. Elsewhere grade 3A saw Annsborough from Co Down defy the odds to become world champions at the double, winning overall and also taking the drumming spoils. What a turnaround this has been for the band, under pipe major Brendan Mullen, and they’ve probably put themselves in line for elevation to grade two next year. In grade 3B Colmcille, founded in Derry at the height of the troubles by Barney Hasson, triumphed under pipe major Brian Hasson. Fresh from their All-Ireland win, they produced a blistering selection, winning their heat in the morning and then holding off Lewis in the final, where Upper Crossgare took the drumming spoils. Marlacoo were hotly tipped to win 4A outright, but had to be content with a drumming title and third overall. Instead, it was Ballyclare-based Major Sinclair Memorial, under pipe major John Fittis, who shocked their rivals when their impeccable ensemble guided them to overall victory. 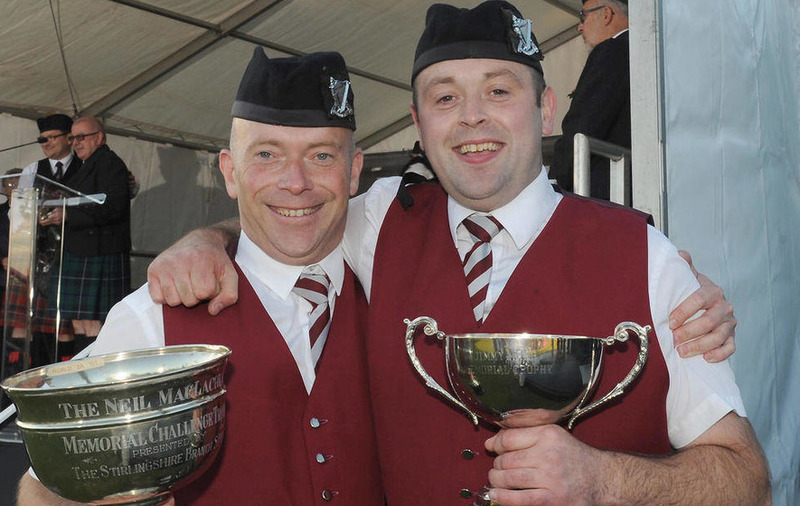 And the world titles just kept on coming on Saturday, with two more in 4B, where Portavogie under Malcolm Wallace, were winners overall and McDonald Memorial’s drum corps, led by leading tip Trevor Clydesdale, both capped a memorable year. They’ll probably each lock drones again in 2016 in grade 4A. There were also successes on Saturday for Northern Ireland drum majors Brian Wilson (Lomond & Clyde) and Jamie Cupples (Killeen). RSPBANI Branch chairman Ray Hall said: “I would like to congratulate our new world champion bands and drum majors on their successes in Glasgow. :: Grade one – 1 Shotts & Dykehead Caledonia, 2 St Laurence O’Toole (also best medley, best MSR and best drum corps), 3 Inveraray & District; 4 Field Marshal Montgomery, 5 Simon Fraser University, 6 Scottish Power. Champion of Champions band: FM Montgomery. Drum corps: St Laurence O’Toole. :: Grade two - 1 Johnstone, 2 Bleary & District (also best drums), 3 Buchan Peterson, 4 McKenzie Caledonian, 5 Police Service of Northern Ireland, 6 Lomond & Clyde. Champion of Champions band: Bleary & District. Drums: Buchan Peterson. :: Grade 3A - 1 Annsborough (also best drums), 2 City of Discovery, 3 Closkelt, 4 Dartmouth & District, 5 Aughintober, 6 Scotia Glenville. Champion of Champions band: Isle of Islay. Drums: City of Discovery. :: Grade 3B - 1 Colmcille, 2 Lewis, 3 Upper Crossgare, 4 Portlethen & District, 5 Achill, 6 Prestonpans RB (also best drums). Champion of Champions band: Colmcille. Drums: Upper Crossgare. :: Grade 4A - 1 Major Sinclair Memorial, 2 St Patrick’s Bandon, 3 Marlacoo & District (also best drums), 4 Cullybackey, 5 Battlehill, 6 Catamount. Champion of Champions band and drum corps: Marlacoo & District. :: Grade 4B - 1 Portavogie, 2 Royal Burgh of Stirling, 3 McDonald Memorial (also best drums), 4 Lanark & District, 5 Carnoustie & District, 6 Beatrix – Netherlands. Champion of Champions band and drum corps: Lanark & District. :: Juvenile - 1 Dollar Academy (also best drums), 2 George Watson’s College; 3 George Heriot’s School, 4 Boghall & Bathgate, 5 St Andrew’s College Christchurch, 6 Kintyre Schools. Champion of Champion band: Dollar Academy. Drums: George Watsons College. :: Novice juvenile - 1 George Watsons College (also best drums), 2 Oban High School, 3 Dollar Academy, 4 Boghall & Bathgate, 5 Northwest Junior USA, 6 North Lanarkshire Schools. Champion of Champions band: Dollar Academy. Drums: George Watsons. :: Adult – 1 Brian Wilson MBE (Lomond & Clyde), 2 Paula Braiden (Cullybackey), 3 Lauren Hanna (Drumlough) 4 Liam Renton (Inveraray & District), 5 Jason Paguio (Simon Fraser University), 6 Andrea McKeown Gibson (Battlehill). Champion of Champions - Lauren Hanna. :: Juvenile – 1 Gibb Fraser (Coalburn IOR), 2 Zoe McDowell (Aughintober), 3 Emma Barr (FM Montgomery), 4 Caitlin Graham (Upper Crossgare), 5 James Kennedy (Whitewater), 6 Dominique Kerkhove (Transvaal Scottish South Africa). Champion of Champions - Emma Barr. :: Junior – 1 Jamie Cupples (Killeen), 2 Beth Preston (Bessbrook Crimson Arrow), 3 Emily Crooks (McNeillstown), 4 Lana Gibson (Major Sinclair Memorial), 5 Jason Nicholl (Tullylagan), 6 Kathy Hunter (Manorcunningham). Champion of Champions - Lana Gibson.